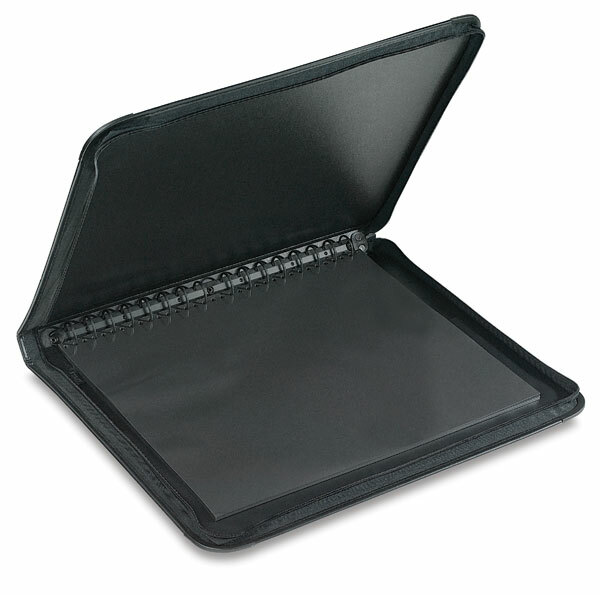 Elegant and durable, with a black laminated waterproof cover and a deluxe lining, these presentation cases lay flat for easy presentation. The 1" black multi-ring binder does not snag pages. Spine mounted handle allows pages to hang downward properly. ® Prat is a registered trademark. Start is a trademark.